Happy Friday! Today we are helping Danny’s girlfriend move into Cornell University, so it will be a long and busy day – but fun to get to help and watch someone starting a new chapter in her life. It also means I won’t be reading any blogs, commenting or anything else … another weekend getting behind on my reading – it does get stressful (#fomo)! Emergency room doctors confirmed Brenda’s suspicion. In a statement to reporters, a hospital spokeswoman said that doctors had concluded Mr. Meyers’ injuries were due to “sudden catastrophic foot failure.” In layman’s terms: Mr. Meyers’ right foot simply could not operate in a sock designed for a left foot, and vice versa. Faced with such a physiological disconnect, the statement said, the feet essentially “short circuit” and then shut down. Why Haven’t You Had Kids Yet? Remember how I talked about ‘stuff people with kids need to stop saying …’? 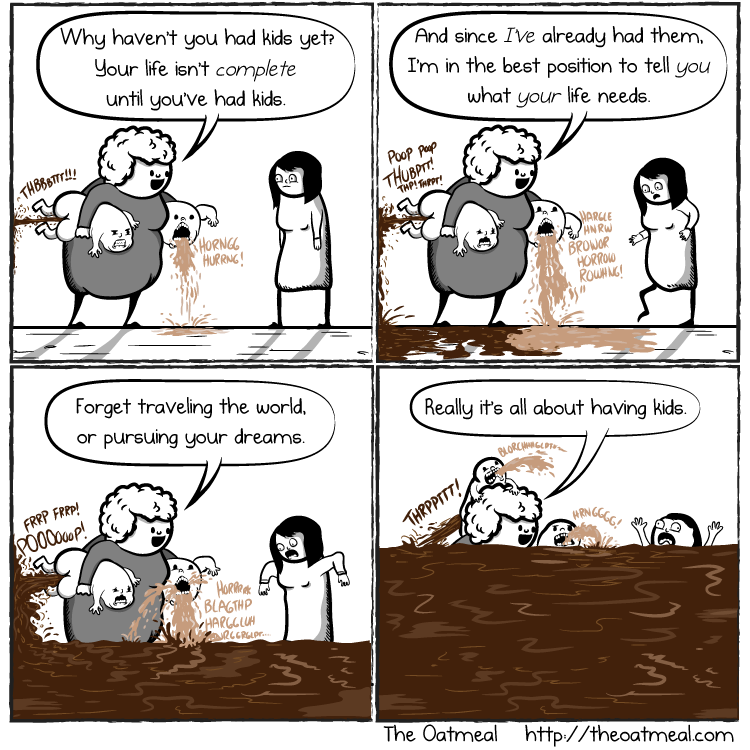 Well, as usual, The Oatmeal has summed it all up perfectly! Yet another great business-related article from LinkedIn this week talks about “What Arnold Schwarzenegger’s 6 Rules of Life Mean For Your Job”. It is really a very good article, and a reminder of how much Arnold has accomplished – far from a dumb bodybuilder, he was a multimillionaire in his early 20s with a lousy grasp of English, yet came to America and was a huge success – and that was more than 40 years ago! the way down, past your knees until you’re almost walking on them. boys will like you, and happiness will follow. 5. 5k or 10k? Help Me Decide! So tomorrow everyone has to work, and Lisa and I had originally planned to do the ‘Time to Sperr’ event. It is a charity event to benefit the park and foundation, and Lisa was going to walk while I ran. I am still thinking of doing it – but can’t decide – 5k or 10k? I was initially going for the 10k because it is all the same money, but then I was astounded by how stupid that logic was, and I also want to do a 5k to push myself … I have no idea. Why is this the ‘bonus’ and also the title of the post? Shaddup, it is my list! Anyway, in my ’22 Years’ anniversary post I talked about watching Twin Peaks by phone with Lisa, and Judith commented about loving it as well. 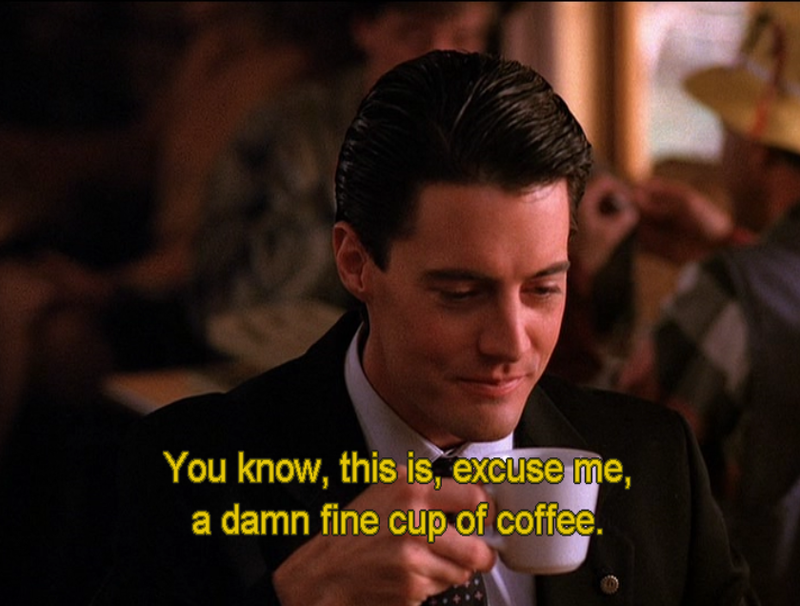 The boys and I enjoyed watching ‘Eraserhead’ recently, and we have Blue Velvet on DVD, and have starting working through Twin Peaks again. It is stunning how well it hold up as groundbreaking TV even today. You should really check it out if you haven’t watched before … here is a link to Amazon. ‘Rough’ Work Day, Running Lately and 5 Ways to Make Your iPad Your Main PC! I have mentioned before that I work in the ‘corporate engineering’ organization, but most people I talk to don’t know what that really means (nor did I really ‘get it’ until I started working at Corning. In my last job there were two divisions – one for microelectronics and the other for printed circuit boards, each with their own research, development, engineering and manufacturing people. Within a division we would work on a variety of technologies and products, and often remain linked to them … well, forever. You would report to your boss but the project lead would have your time. By the time I left I had estimated that 40% of my time was allocated to ‘baggage’ responsibilities from the previous 15 years. For Corning, without being too specific, each business has employees to do development and engineering and manufacturing, and there is a corporate engineering division that supplies ‘center of excellence’ support to every other division. This allows divisions to streamline operations and the corporate engineering groups to focus on their core skills. Operationally, it means that you almost never see your boss or the people in your department. So I have an office in downtown Corning, but have been there less than a half-dozen times this year. 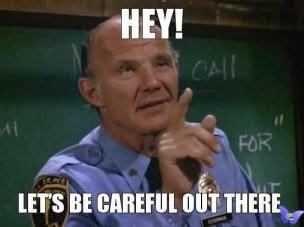 With all of that as introduction, you might understand why it matters for our department to have periodic ‘team events’. We have a monthly staff meeting and quarterly division meetings, but again those are functional and don’t help us connect as people, which greatly enhances our ability to work together effectively. So before I even joined Corning, the group started a routine of having a couple of smaller events and one larger all-day event each year. For example, last year we had a cooking class day at the New York Wine and Culinary Center, have done wine tours, bowling, boat trips, and more. 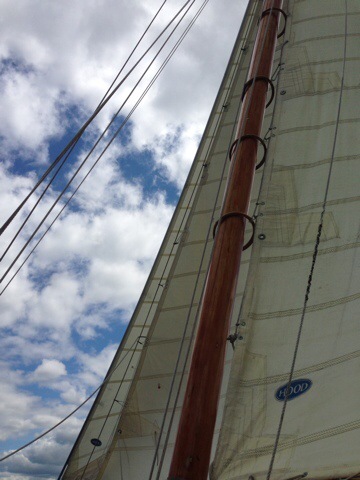 This year for our ‘rough day’, we spent the day on a two-masted schooner and then eating at a nice lake-side restaurant. We did a Seneca lake cruise on the ‘True Love’, which was the boat used in the film High Society when Bing Crosby serenades Grace Kelly on the boat. 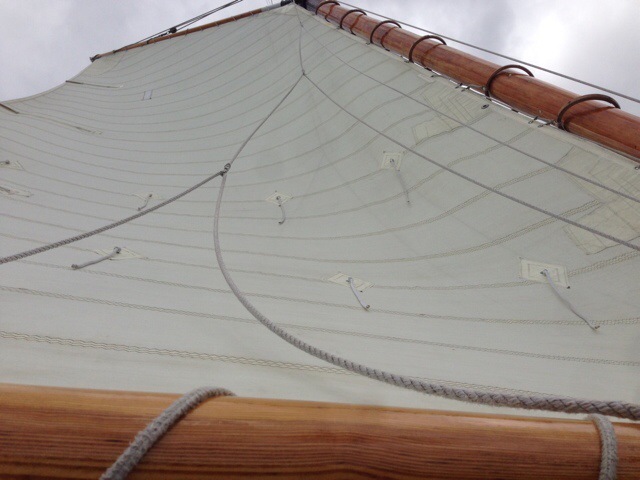 Because of the weather change from warm & humid to cool & dry, the lake was quite windy … making for excellent sailing! Because the boat is relatively small (capacity of 20 people, we had 14), when we were sailing with the wind the boat tipped so the rail was less than a foot off of the water! The weather was great, and the wind and waves made for a fun and active ride – it was possible to walk around and talk, but choppy enough that you wanted to sit when possible and there were a few drinks spilled. All in all a great adventure, and highly recommended if you are in the area! 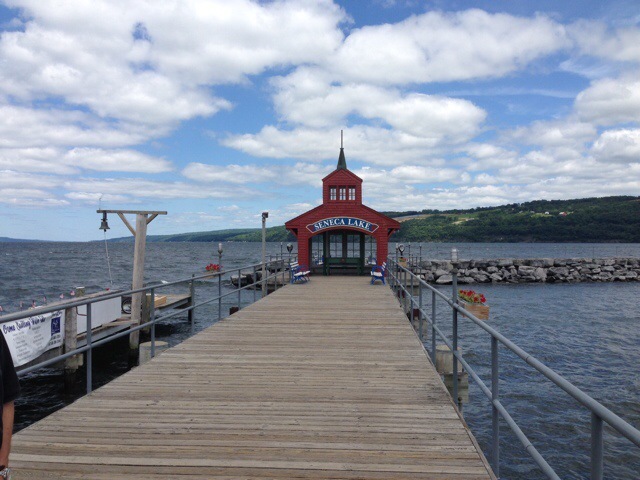 We had a late lunch at the Seneca Harbor Station restaurant, which is a place we’ve been to a couple of times before. Our experience was mixed but generally, and that pretty well reflects the experience this time. Coming in on a Thursday afternoon after 2PM the place wasn’t too busy, so we were able to not be cramped at all. There were a variety of appetizers, then main dishes. They also provided ‘fresh’ bread that was drenched a sort of butter-oil-garlic … I tried it, but not a fan. I got a Southwest Chicken Salad that had fresh salsa (black bean, red onion, tomato, corn and cilantro salsa with tortilla chips and roasted jalapenos) as well as spinach and other greens and grilled chicken. The problem I had (aside from no tortilla chops and the jalapenos not being roasted, neither of which I minded since the jalapenos were fresh and not from a jar) was that the chicken wasn’t ‘fresh’. It reminded me of getting a big bag of pre-grilled chicken breast from Sam’s Club, reheating and cutting it up. In other words, it was fresh cut, but NOT fresh cooked. As I talked to others at the table that ‘semi-homemade’ feeling was everywhere. My review of Seneca Harbor Station would be ‘Good’ – food was pretty decent, prices for an ‘on the lake’ place were also reasonable. Service was excellent, one benefit of the place having emptied out after lunch. But the best thing about all of it was how both events allowed everyone to chat and move around easily – I heard about projects, locations, kids and spouses and parents and so on, planned out a possible course to teach next year, and so on. Excellent day in every possible way! – All runs were ‘free-form’, base building … next week gets back to ‘purpose’. I was concerned returning from vacation and hopping into running, so I ran with the Kinvara 5s for a few days them rotated back into the Virratas … and I have felt great. I talk regularly about using my iPad as my ‘90% Computer’. I also get asked a lot about how to make the iPad useful beyond just ‘a toy’, so I thought I would quickly note a few ways to turn that tablet into your main computing device! Realize what you CAN Do! When the iPad first arrived, people dismissed it as an over-sized iPod Touch, and then as a simple ‘consumption’ machine. In other words, some of the obvious capabilities: email, web browsing, listening to music and watching videos. Guess what – the iPad is EXCELLENT at those things. But very quickly the iPad killed the booming Netbook category and shook up the PC market completely … so it had to be more than just a basic consumption device. – Multi-tab web browsing with most modern features available. That is quite a bit – and the hardware is powerful and incredible capable. One of the great things for me is the ability to quickly shift between iPhone, iPad and Mac in terms of images, music and data files. For example, I can take a picture on my iPhone, then upload it to a post in WordPress on the iPad without ever downloading it to my device by using the Photo Stream. Using Google+ allows you to add all of the pictures you take to your Google image storage for use with a Chromebook or Android device, and Microsoft’s OneDrive has similar capabilities. As another simple example, after our New York trip we wanted to look at pictures. We imported ones from our cameras to iPhoto, but the ones from our phones all auto-uploaded so we could just grab the iPad and browse through them all. My uses for the iPad? Doing many of these things requires apps. I love jamming with Magellan Synth, recording up to 48 tracks in Auria, checking RSS feeds in Mr. Brower (uses Feedly), blogging with the WordPress app, and so on. Whereas most of the best phone games are ‘time wasters’, on the iPad you can play a full game like Baldur’s Gate 2, or X-Com and so on. The screen size gives you the visual space as well as touch-screen space to have a great experience. The same is true for music – you can use multi-touch to play ‘piano’, manipulate ‘knobs’ and ‘dials’ in real-time, and because of the processing power, an app like AudioBus allows you to string together multiple apps to turn your iPad into a real recording studio! If you look at the image above, you see I have my iPad in a keyboard case. 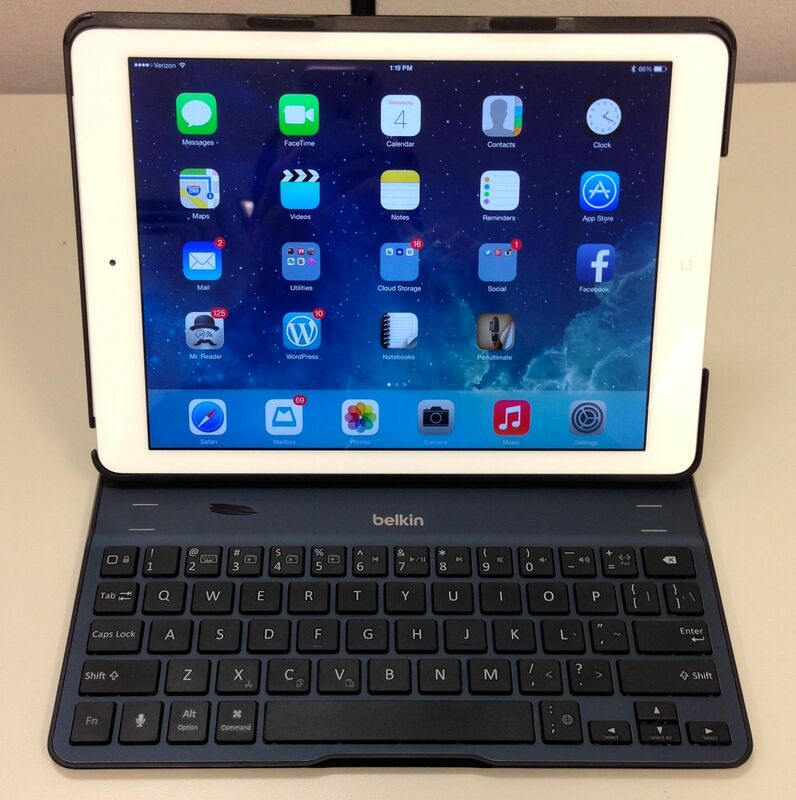 Specifically I have the Belkin Qode Ultimate, which protects my iPad Air, doesn’t add much bulk, and provides a great Bluetooth keyboard with excellent battery life. I also regularly use products from IK Multimedia such as the iRig Pro to hook in my guitar, and the iRig Keys Pro as a great portable keyboard. Remember … this is NOT a laptop. I think this has fueled some disillusionment and a tapering of sales from all vendors. You WILL need a computer for some things, and to act as a ‘hub’, but you will also find you can use it much less. That is how my iPad became my 90% computer. When I first got it, I had my work computer for work, but also a smartphone (Droid), netbook and LiveScribe ‘smartpen’. With the iPad the netbook and LiveScribe quickly went away – and so did my use of the Nintendo DS and Sony PSP! And many things I was doing on the Droid I could do more efficiently on the iPad. When I was in Kentucky last year, I knew I needed my work computer (duh), but I needed some way to do my personal stuff and blogging … and didn’t want to lug two laptops. So I had to do a ‘trust fall’ and hope the iPad would work – and it DID. I was recording and editing and posting video reviews, writing, playing games, making music, emailing, Facetime-ing and so on! So for me, it has earned its place. Have you sailed on a lake? What is your go-to computer / blogging device? 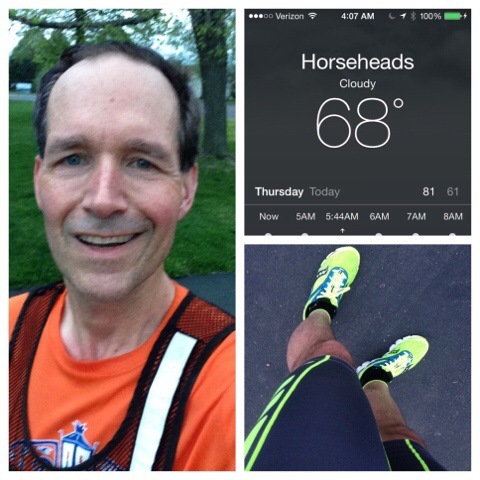 Friday Five – How Does a Distance Runner Do a 5k, Garmin, Magellan and More! Happy Friday! As I noted, this has been a busy week and frankly between all the crazy stuff going on I am very much ready for the weekend! Everyone seems to be on the mend, AP tests are done, and the can begin the home stretch to the end of the school year (and hopefully get summer jobs soon!). 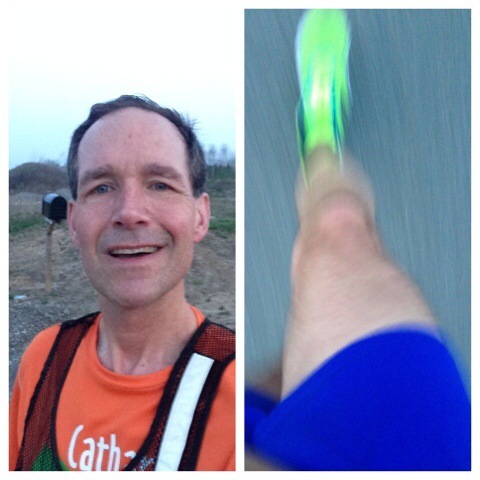 Cat Calls Need to Stop – On the picture above – I posted this to Instagram & Facebook yesterday, noting that in the warm weather I wore my compression shorts and got a comment from a couple of slightly younger women (~40) who were walking a dog ‘nice shorts’. Given my history I took it as a fun playful compliment, but had my boys said that to a woman runner I would have been REALLY annoyed. And on Facebook in a local running group, a woman went on a rant about getting comments the other night when it was 80+ for wearing short-shorts and a running bra. There was a healthy discussion, then she revealed the worst comments came from … women. Regardless of source, this judgment and objectification needs to STOP. Now. – No wireless accessories (no foot pod or heart-rate monitor. The FR-15 addresses all of this – and more! They sent me the package that includes the ANT+ (no Bluetooth) heart rate monitor, and also comes with the USB charge & sync cable. In my test run, the heart rate monitor paired instantly and tracked wonderfully. So what is lacking so far? Wireless sync. I understand that because this is their entry level device there are compromises, and for the price the FR-15 delivers tremendous value … but I would rather never have to use a computer for syncing my GPS again. You can pre-order the FR-15 through Amazon with an expected ship-date of May 30th. I will have a full review in the coming weeks. 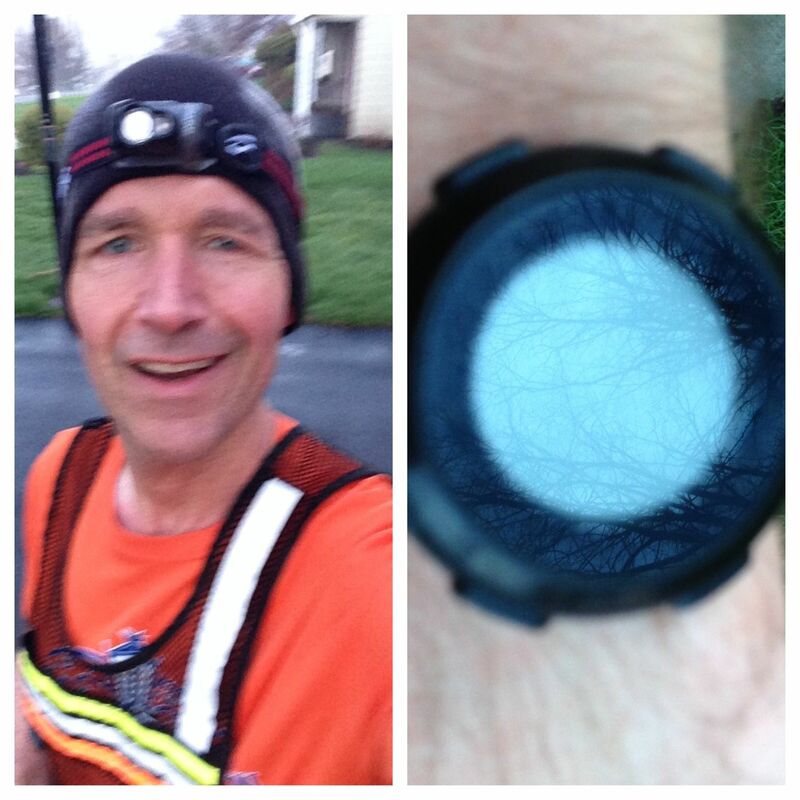 If you recall, I gushed about the Magellan Echo in my review, and it has been my primary running watch all winter. Then a couple of weeks ago there was a major update that changed the watch display and added a stopwatch for non-GPS activity tracking among other updates. Upon installing the updates my display began acting weird, switching off, rebooting, and so on. Eventually it just stopped displaying or responding. I set it aside and just used my Garmin FR-10 … but it bothered me because (a) I really liked it (b) it forced me to carry my phone on my runs and (c) I had recommended it so heartily. So this week I started trying to dig deeper, including how to do a hard reset … and the procedure was to just remove the battery, give it a couple of minutes and then replace it. Hmmm … replace the battery. So yeah, I figured why not just CHANGE the battery?!? Of course first I did just take and put back the same battery and confirmed that nothing happened. New battery? BAM – everything was back. So the ‘at least one year’ battery lasted less than 5 months – but the good news is that everything is back and functioning fine! 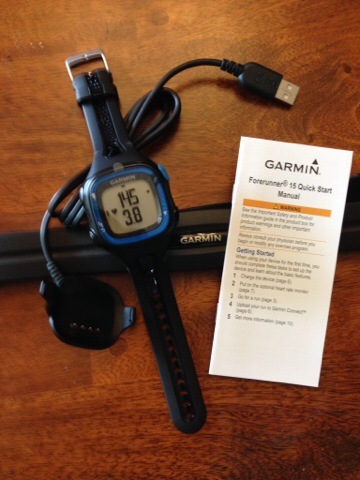 One thing I got Lisa for Mother’s Day was a Garmin Vivofit, which you can get from Amazon for $129.99. The Vivofit is similar to the Polar Loop (Megan had a review of the Loop), Jawbone Up, and so on – they are meant to be worn all the time to track your daily activity. Given how much I have loved my Garmin, I decided to give the Vivofit a chance. – Tracks activities such as steps, etc. – Customize goals, challenges, etc. After a couple of days of continuous wear Lisa had a small reaction on her wrist (to the surprise of no one who knows her – she reacts to the ‘Livestrong’ style bands as well), so she only tracks alternate nights sleeping. Using a half-marathon time to predict a 5K time becomes problematic because the race-specific training for these distances is so different. For instance, when you prepare for a half marathon, your training should include long runs and threshold runs, which are key workouts to improve fitness, but they’re not the 6 x 1,000m with 400m recovery workouts you should complete to get ready for a 5K. This type of workout does two things. First, it gets you grooving at race pace, and, for many runners, 5K race pace feels frenetic because it’s faster than their easy, long run and threshold pace. 5. How Do I Run a 5k? I have been dancing around it a little bit, but in the spirit of honesty and directness I talked about earlier this week I have to say – I am more scared about running a 5K than I am about running a marathon! Ugh – I know that sounds ridiculous and stupid, especially since I haven’t run fewer than 4 miles on a normal run since April 2012, but let me explain. So here is the thing – I have no desire to hit the track, do sprints and other things like that. Maybe I will, but my core desire is still to just go out every morning for my run, and to work on the 5K strategy ‘on the side’. I know things like tapering, fueling and so on don’t play into it … but I really don’t know how to approach pre-race fueling either. I have an 8k and 5k coming up – and while I am honestly not worried about getting a PR in either, I have no idea on what I should set for a target time, how I should approach them (just go out fast and try to hand on, start slowly and build, even-pace?) … just no clues. Any thoughts for me as I start to get ready for these races? What are your weekend plans? What race distance scares you? Quickie Five for Friday – More Random Stuff! I am still finishing up my summary from last weekend – not so much because it is so long (it is), but rather that I am trying to be careful about many of the things I say. In many ways – not to be too melodramatic, preachy, not too many personal details about others and so on. But neither do I want to be generic and vague … and I chose to do 15 points for the 150th anniversary – and rework every one! So it is taking longer than planned – and I am still working on my ‘Liebster Award’ post (and I got another nom from Abby this week, yay!). Maybe one of them will finish today, maybe not – so in the mean time I figured I would put out a quickie ‘Five Things Friday’ … here we go! This was something that was very clear to me this past weekend but I hadn’t really thought about before. In years past, when I traveled I would just get there, and try to go running around the hotel while there. But since I got ‘serious’ about running in 2012 everything has changed – even in August 2012 when I went to Park City, Utah I researched running around the resort before I left. I had my routes all planned when I headed to Coronado, CA a year ago, and when work travel took me to Kentucky weekly last year I chose the hotel with the best running routes rather than the best internet or rooms! So naturally heading to Troy, NY last weekend … I checked out routes and planned a couple of run paths for myself. And the great thing it – it makes even the old seem new seeing it on a run. Then returning home, I had a number of comments at work as I was in meetings with people I haven’t seen since projects a couple of years ago, and also from other friends. It is very motivating and inspirational to me to have someone say that me getting out there regardless of weather inspires them to try to exercise more. Again, I think the story of me running >3000 miles last year is boring – I just ran between 50-70 miles every week all year long. Thing is, I had runners telling me that isn’t normal – you normally ebb and flow, train for a race then back off … not just keep on going, and not at our age. I guess it is just another weird thing about me – and I show no signs of stopping, since returning home the weather has been warmer (40F+) and I have really enjoyed my runs! So I’m up over 50 miles despite taking Sunday off. Apparently this isn’t a normal thing. Thing is … I really don’t care! Normal is over-rated! I have talked about my love of the Magellan Echo – rather than having its own GPS it uses the iPhone GPS, and is a very flexible display and controller. Well, this week it got a firmware update that changed around some functionality, improved the display and added stop-watch capabilities for non-GPS activities. But for me it turned it into a self-rebooting wrist-band. At first it would just shut down the display and I could reboot it, but now it just tries to connect to the phone and shuts down again … and again. It is a reminder of the limitations of technology. At the same time I have been working on re-establishing my old music studio. It has been going pretty well, but most of my stuff is from the 90’s and early 2000s … and is more limited and specific in connectivity. Working with this stuff is a trip down memory lane – when there was a definite ‘learning curve’ before you could get functionality out of your technology. Yesterday I posted a picture of our cat Dolly, and talked about how much we’ve worked with her in the 3.5 years we’ve had her. She is over 9 years old, and had a pretty rough life – but when we took her and realized we weren’t just ‘watching her for a bit’, she became part of our ‘pack’. The picture above shows the rest of the crew (except for the fish) – our two Norfolk Terriers that we actually bought from a breeder due to allergies, and our ‘cancer kitty’ Leo, who is 13 and we decided not to treat with chemo, etc because it would mess up his quality of life … and he is still the terror of the neighborhood. Even our fish have a story – where Lisa was working they got two new fish and one teacher was going to let them die as part of an experiment – but Lisa said ‘no way’ – and we had two fish! Then I won her one at the NY State Fair, and we have added more and some have died as fish will do. The point is – when you bring a living creature into your home, it is your responsibility to give it the best possible life. I don’t believe in ‘pets as gifts’ for that very reason – too often kids gets kittens or puppies for Christmas, bunnies for Easter …and the shelter ends up with a mess a few months later. Five Things Friday – Random Fun Weekend Thoughts! Happy Friday! Today I am taking a rare vacation day – and even more rare a solo vacation day – and heading away for the weekend for my fraternity 150th anniversary celebration as I mentioned yesterday. In fact, as you read this I am probably close to Troy or already there. As I noted to a friend on Facebook, in contrast with past visits this will be the first time I ever went running in Troy, and there will be much less alcohol consumed than when I was young! But I am anticipating loads of fun! So I wanted to just blast out a few random things on my mind – and hope everyone has a great weekend! If you have dogs and own your own home, Invisible Fence is definitely something you should know about – it is a system comprised of a collar with electrodes and a buried wire that runs around the perimeter of our property. 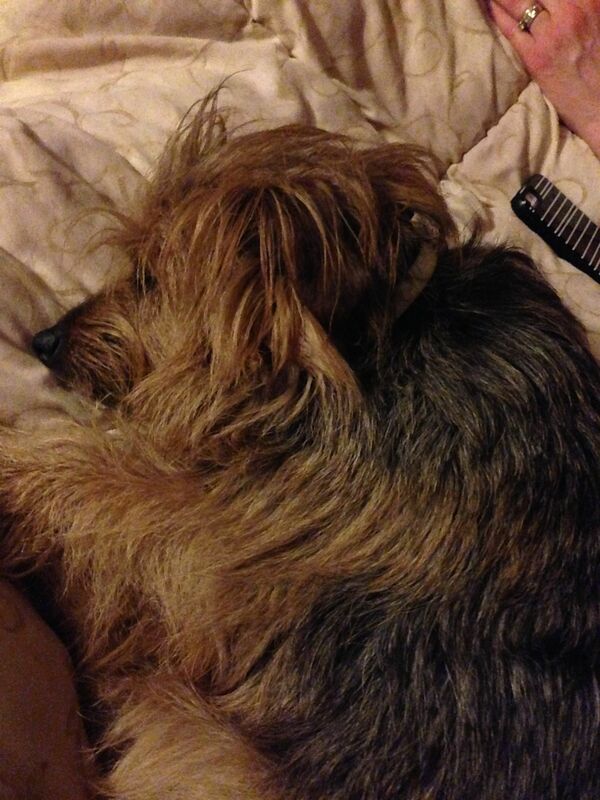 When the dog gets close to the boundary a high pitched been starts, and when they cross the line they get a shock. It might sound a bit nasty, but generally the dogs will stop even before hearing the sound after a bit – and the result is they have free reign of the yard! We’ve had the system since just after we moved to New York, and the dogs love it because they can run around outdoors, bask in the sun, and generally watch the world go on around them. Well, we’ve been on the annual battery plan (new batteries every quarter for each collar), and kept putting off replacing them, first because they were still working, then because of various other things … then we got lazy! We have seen them start pushing the boundaries and a couple of weeks ago when Lisa and I were going to go for a walk without the dogs Rosie followed right along. But neither ever left the property … so naturally on Thursday Rosie decides she’s going on a great explore of the neighborhood. Lisa texts me about the adventure getting her home then I get an alert from the Whistle app that she already met her activity goal (Whistle is like Fitbit for pets). Fortunately it all turned out fine – we made a priority stop to get new batteries, and the dogs quickly readjusted to their borders. Whew! Way back in 1985 I took my first electronic music class at RPI, and the software we used was Performer from MOTU (Mark of the Unicorn) running on a 512k Mac. After using it in the lab for all those years, when I bought my own Mac, naturally I grabbed Performer, which was probably version 2 or 3 by then. I kept upgrading until version 6, when MOTU end-of-lifed it and replaced it with Digital Performer, which brought in video and audio capabilities. I upgraded THAT a couple of times, but then let things lapse for a number of years. After moving I never made sure I had all of my registration info, so when I recently decided to get my studio back together, I searched everywhere physically and electronically for the information … to no avail. So I send an email to customer service with my name, the last address I THINK I used to register, a couple of potential emails, and the versions I thought I had. Total crap-shoot … but they came back in minutes with my info, and when I asked about versions for older PPC and 040 Macs (I might be getting an old one back after many years) they said they’d send an installer CD for those as well as the brand new version. Oh, and they even sent me the digital registration for the newest version – so I was able to quickly get things going again! It was pretty awesome! Great, great customer support! I think it is a very common thing to twirl and twist your wedding rings – and they tend to spin on their own as it is. The problem – particularly for someone wearing multiple rings (engagement, wedding and anniversary bands) – is that all that spinning translates into wear on the rings. 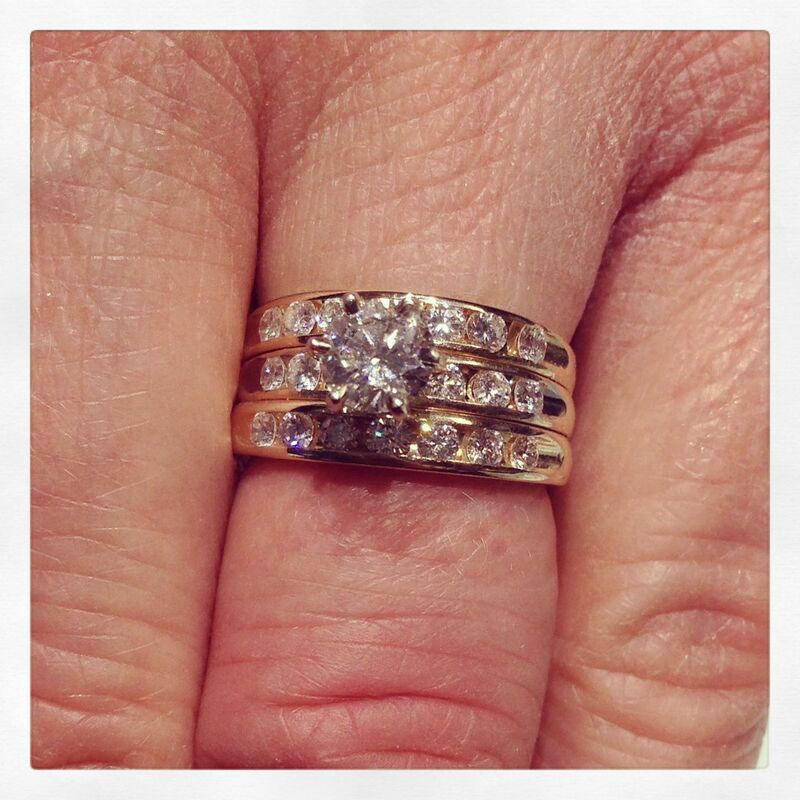 This is exactly what happened to Lisa’s rings – the prongs holding the diamond in place were worn, and the channels were wearing down and the channel stones were starting to get compromised. Last year she had a mall store jeweler look at the prongs and they ‘repaired’ it – but not all that well. Fortunately we have a good jeweler in the area, and this week they replaced the setting, repaired everything and soldered the rings together. The channels are still very worn down (amazing contrast compared to mine!) but things are safe and secure and it buys us more time. Speaking of which – since our 25th is coming in a few years, it seems like an opportune time to possibly replace the entire ring set … and we saw a cool set that we will keep in mind. But for now we are just so happy to have Lisa’s set safe and looking better than ever. The big thing for us is the sentimentality – these have been part of our lives for a very long time (just past 23rd engage-aversary), and it isn’t about the money or value or size or carat weight or whatever. It is about us, and the meaning of these rings. Hopefully our current set will last for a while longer, but we know it won’t be forever. On Instagram Megan mentioned having done hers already after 2 years, and I encourage everyone to consider it. 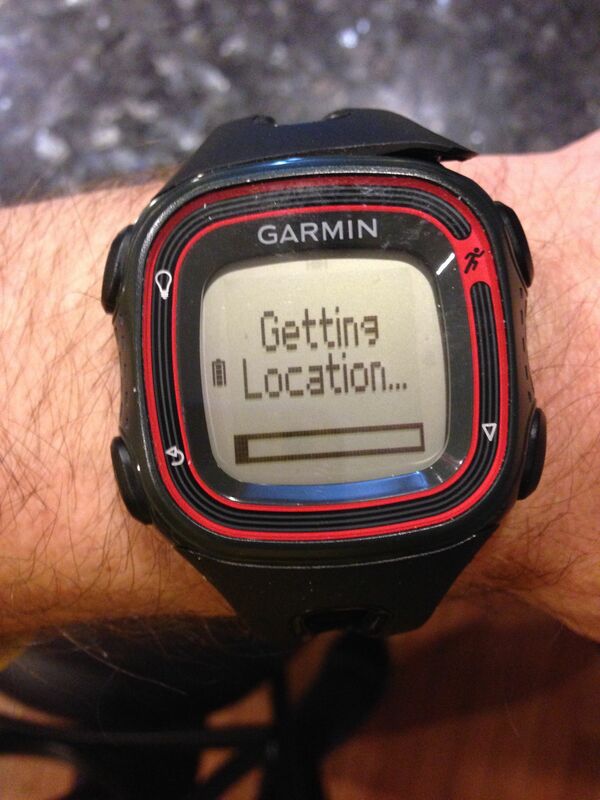 For some reason this week I wanted to get my Garmin back out and start using it again – actually I know exactly why, Garmin launched a new version of their connect site with a separate app for syncing up your device. It was fun getting the FR-10 back into service, having to sit it on the windowsill as I put on my running shoes to link to GPS, and so on. The fit and feel are great, but one thing I noticed after having used many other devices over the last several months? The elevation was considerably ‘off’ from the rest, and there was a patch that was installed that … you guessed it, dealt with making elevation more accurate! 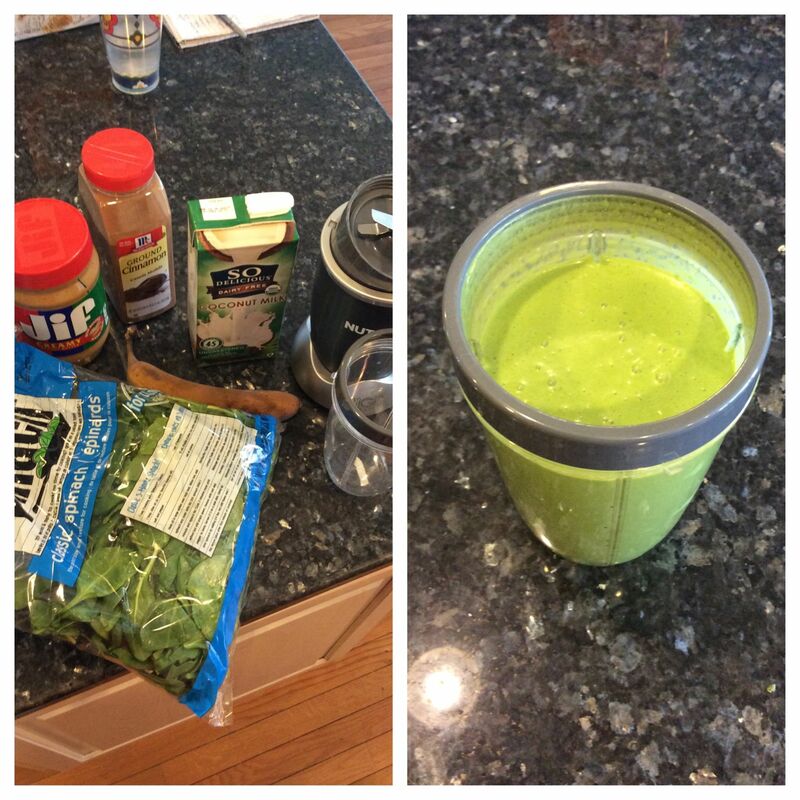 So yeah, three weeks in and I continue to use my Nutri-Bullet every day. Generally it is breakfast and dessert – which makes for such a great way to get an ice cream-like dessert that is much healthier. People at work have taken an interest – one friend was thinking about it for her and her husband, so we were talking, then another person in that group got hooked in, and another … it is kind of crazy. But it is a really fun way to mix things up! Oh – and thanks for the recipes and pointers! I have used some of them and variations of others … great and yummy stuff! 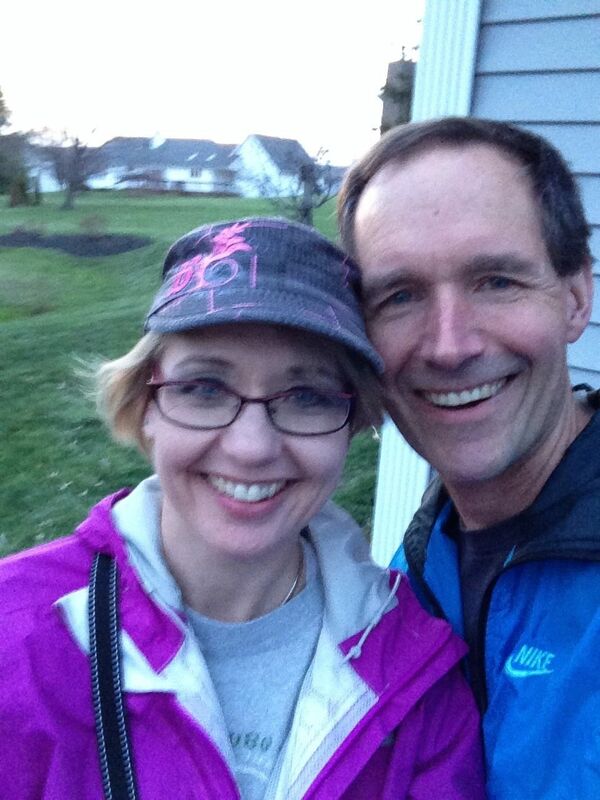 The picture at the top is from the end of a walk Lisa and I took with the dogs this week. The weather has just started to warm up to the point where we can go for evening walks – the dogs love it, it is so much better than sitting down after dinner, it feels great, and is a great way for us to get to chat even more! So … what are your weekend plans? Do you like going for walks with spouse / friends / family / pets / alone / etc? Hey everyone and Happy Saturday – and Happy Good Easter Weekend for Christians and Super Happy Weekend to those who didn’t have to work Good Friday and have a great long weekend! We are all together tomorrow, and looking forward to a fun and relaxing Easter before everyone heads back to ‘real life’ of school and all of us working and busy. I have a few posts I am working on that I had grand plans to finish … but y’know, life and stuff. 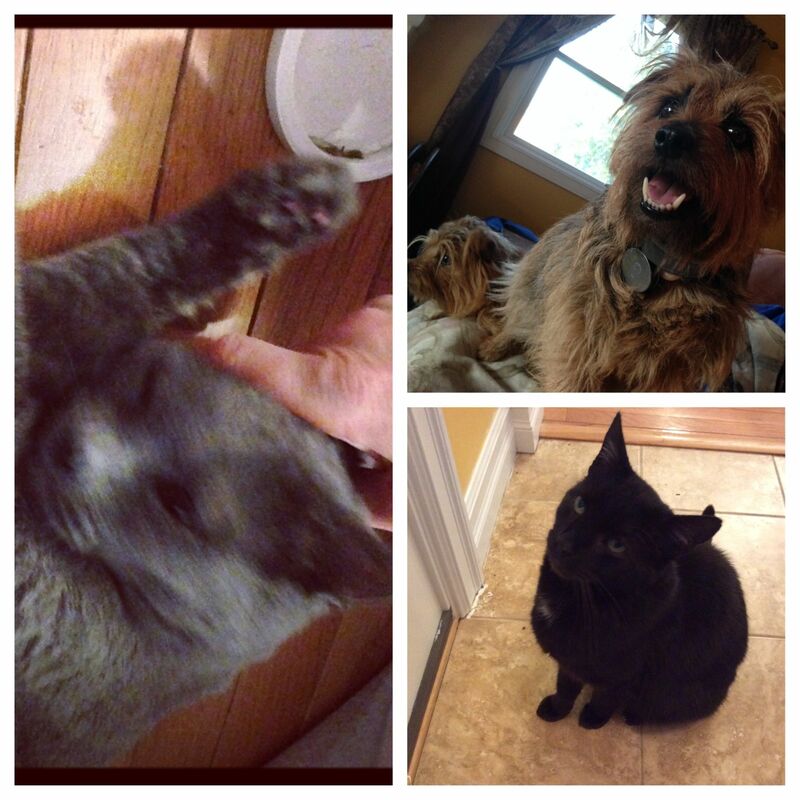 So instead, here are six totally random things … enjoy! 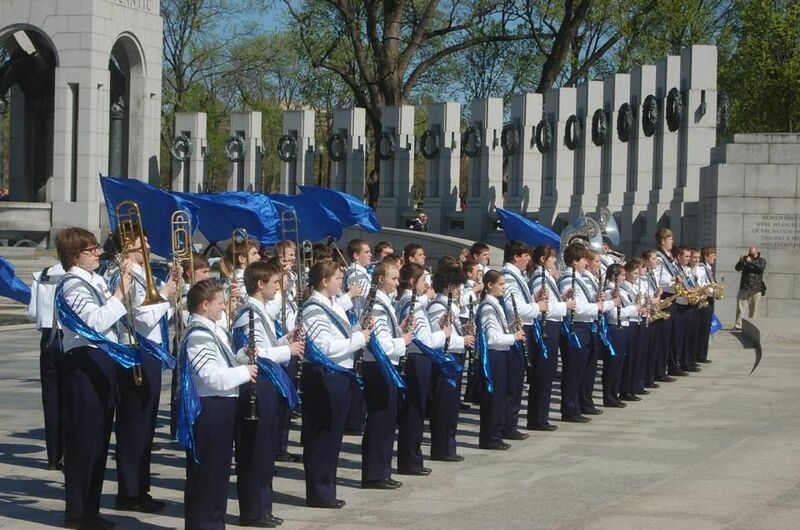 Oh – and someone also recorded part of their performance at the WWII memorial and posted it on Facebook. Enjoy! Last week I talked about screens, and how the light from LCD screens messes with your sleep. As noted my Kindle had died, leaving me to read on my Kindle Fire HDX – not optimal! Someone suggested contacting Amazon, knowing the worst they could say was ‘no’ … and long story shirt, they were Amazing as always, and between their service and using some of the credit I had from the ebook settlement, I now have a new Kindle Paperwhite. 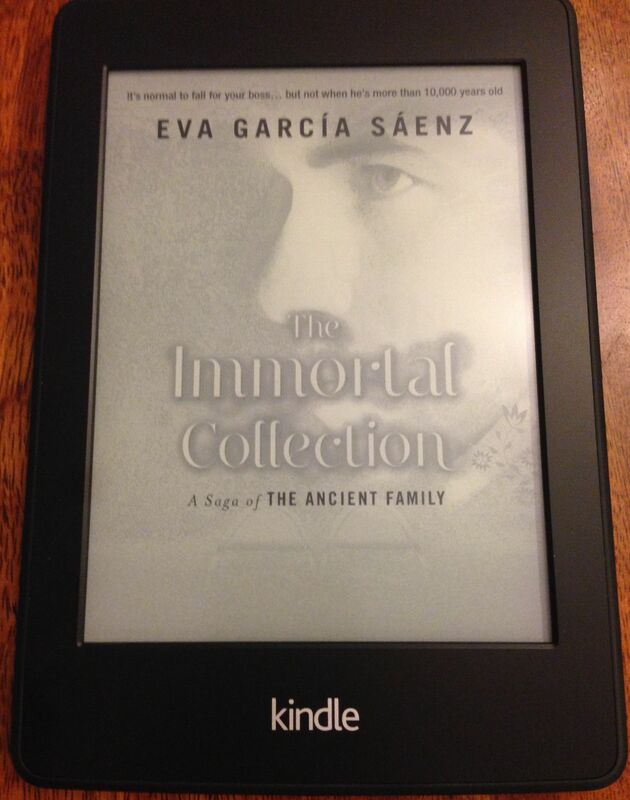 It really is the most amazing ereader I’ve ever used. Also cool? For my birthday my friends from Gear Diary (thanks!) 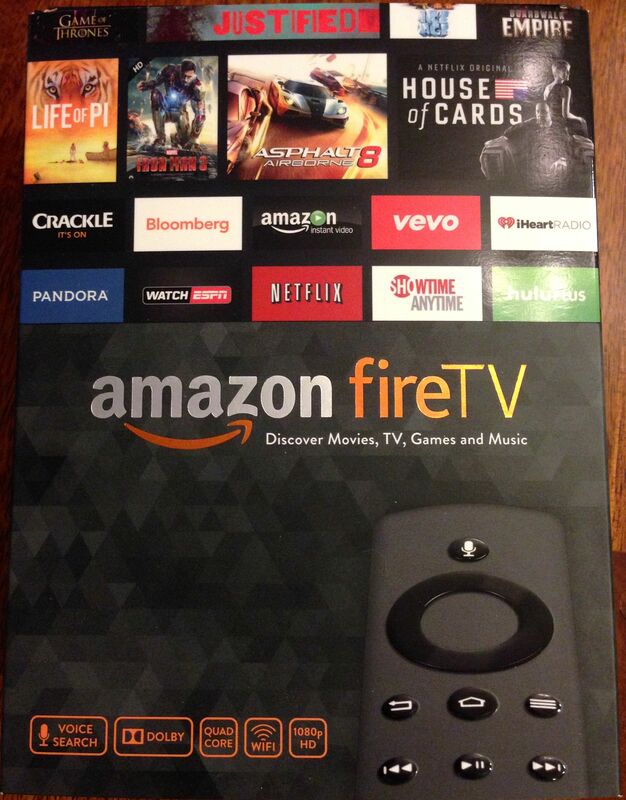 got me the new Amazon Fire TV. Our Roku was dying, and was really slow and unresponsive after having it for several years (it was the first HD version). The Fire TV has Amazon Prime video, Hulu, Netflix and more. I know it is supposedly lacking some things compared to Roku, but considering 95% of our time is between Amazon Video and Hulu … it is great. Also, they have gotten me the gaming controller (still waiting for it to arrive), so it will be fun to see how that works. I haven’t played with the ‘second screen’ feature using the Kindle Fire HDX yet, should be another cool addition. It seems just yesterday that everyone was laughing about the idea of a video phone, and yet last year when I was traveling back and forth to Kentucky the twice-daily FaceTime calls home were a major part of keeping me sane. The New York Post has a quick article about the technologies that were predicted in 1964 that have come to pass and those that haven’t. The ‘picture phone’ is one that has happened – though likely in a different way than anyone would have envisioned! They also talk about the first real use of touch-tone phone technology … and for me that is interesting since most people I knew had rotary phones into the 80s. The dual-tone multi-frequency (DTMF) technology was actually introduced by Bell in 1963. But perhaps the bigger thing than the adoption of touch tone was the ability to use your own phone on a line (before that the phones were leased from Bell). I also remember that as the regional lines got updated phones had a ‘Tone/Pulse’ switch (anyone else remember that?) and you would press buttons and hear the rotary sounds. Of course, since I have fond memories sitting on the beach of Cape Cod with a single-speaker transistor radio discovering we could get AM radio from Long Island … yeah, I remember being amazed at the Walkman! So small, sleek, portable and easy to use! Of course, this week I also came across some sheet music from a jazz harmony class I took as an undergrad – which was blue from the mimeo machine. And we were laughing at words like ‘rewind’ that are meaningless, disc icons for saving, and so on. And just think about the wide swath of movies that would be totally changed if someone had a cell phone! This article was shared by Laura on Facebook, and I just love it. I had really planned a more elaborate post because there were other similar topics lately, as it seems that rather than improve things for women, we’re making them worse for men! Because, while Ms. Kalafatas accurately points out that “96 percent of sexually objectified images are women”, we are also hearing that “18 percent of boys are very concerned about their weight and physique”. I really recommend reading the whole article – and ask yourself some honest questions about how you feel about yourself and others. I think that while there is a natural human instinct to do some assessment of others (i.e. profiling), but what she discusses goes beyond that. As someone who was very obese for a while, thin for many years with occasional bits of ‘overweight’ and then became obese again only to be very thin and athletic now … I have seen dramatic changes in how people look at and deal with me – and sadly I have seen changes in how I deal with others and myself. These are not proud moments … but they exist. Do I hate my body? No, at this point I am fairly OK with it (that is supposed to sound wishy-washy). I know I am in great shape, that I am thin but healthy … but I also know that the ravages of obesity will never leave, and coming to this fitness level in my late 40s means not reaping the benefits of youth. The worst is that there will always be ‘more skin than there is Mike to fill it’ … which puts me into constant self-evaluation mode. I’ve talked about the fact that I have issues with blogs and blogging in general (yeah, talking about it here – ironic! ), and while I have a draft to detail some of that stuff, one of my big complaints is that we seem to be devolving in terms of discussion. Again you have to join me in the way-back machine, back to a time when you could actually type faster than your modem could transmit! 0. Modems – I just did Speedtest on my phone, and it is running at ~22Mbps – that is 22 MILLION bits per second, or a 3 minute song per second. Imagine back in the mid-80s, paying more than $200 for a box that worked at 300bps – which comes down to ~25 characters per second. I am a hack typist and I do better than that! At 300 baud your screen would take about a minute to load, and you could literally watch your characters appear after you typed them! 1. ListServ – chronologically these came after USENET, but they are smaller in scope. What you would do is sign up by email to be part of an ’email discussion group’. You send messages to a server, and then your message is sent to everyone on the list, either immediately or part of a ‘daily digest’. These were great ways to centralize discussions, but also turned into email nightmares (I remember having more than 12,000 unread emails coming back from one vacation!). 2. USENET – my personal fave and I resisted leaving until the late 90s … These were ‘discussion groups’ – with a hierarchy of things like ‘alt’ for alternative, ‘rec’ for recreation, ‘comp’ for computer and so on. Under each heading there would be subheadings, and so on. So it could be Comp.lang.c++ or Rec.music.jazz.guitar and so on. Technically, basically you have a distributed file server backbone replicating discussions globally. Each server would contain some subset of groups, and your message would be quickly replicated globally. Someone with a newsreader anywhere would see your new post in rec. running and reply to your question about shoes or whatever. Then everyone who subscribed to that group would see the discussion. You could have thousands of comments in a given thread … and it could be insanely helpful. Because it was all in one place, it was also insanely efficient. 3. BBS / AOL / Compuserve – these bridged the 80s and 90s, and provided services you would dial into and had a bunch of possible things going on. BBS sites would generally have discussion areas, possibly files if they were related to programming, games, or whatever. Sites like Compuserve and AOL were the first place many people ‘got online’, and tried to provide a one-stop-shop of services … but were ultimately outgrown. 4. Web Forums – as more and more websites started up, people wanted to gain and keep visitors, and the best way to do that was to allow for users to have some discussions – like they did on USENET and BBS sites. Forums became commonplace, and would typically cater to the audience of the site itself – so a tech site would discuss the latest gadgets, gaming sites would have areas to talk about different genres, and so on. Most would have ‘off topic’ areas as well. The problem? If you liked more than one site, suddenly you are tracking topics in several forums on several sites … and it can get exhausting! In my opinion we never have done better than USENET. Think about it – one place for all kinds of people from around the world to hook in and discuss things. For example, it is rumored Nike is killing off their wearable hardware division. On USENET there would already be a thread with a thousand comments. I’m sure there are multiple threads on various running forums about it this morning. Yet I haven’t seen it on a running blog yet, and when we do it will be a quick comment (like mine) and will have a small discussion – and then a different discussion on a number of other blogs. This decentralized discussion naturally limits the breadth of sharing and learning … and while I love blogs for many reasons, they are also very limited in terms of actually adding value through shared learning. OK, at this point I am definitely on the ‘Thinking Out Loud’ train … so I’ll link up with Amanda! We are coming up on the Boston Marathon, and with the weather improving, I see more and more people out running, or talking about running outside on their blogs and so on. For me, I am excited for the Boston Marathon, and just pray that everything goes well for everyone who is there. I also think about how it seems with each weekend of full and half marathons we also learn about someone who died in or after the race. There were a couple of runner deaths last weekend again in Raleigh, as noted here. It is a reminder that we need to keep a close eye on our health … and even still there are no guarantees in life. Personally I have had ups and downs this week – we started in shorts and t-shirt weather, made it through single-digit wind chills, and by Friday is was above 30 again but windy enough I wore my heavy hat and gloves. The next week or so looks to have similar conditions – riding the tights/shorts, heavy/light glove boundary. And honestly … I am fine with that! Because none of it involves 4-layers and my brain in ‘self preservation mode’. Have a great weekend, and for Christians, a Happy Easter!